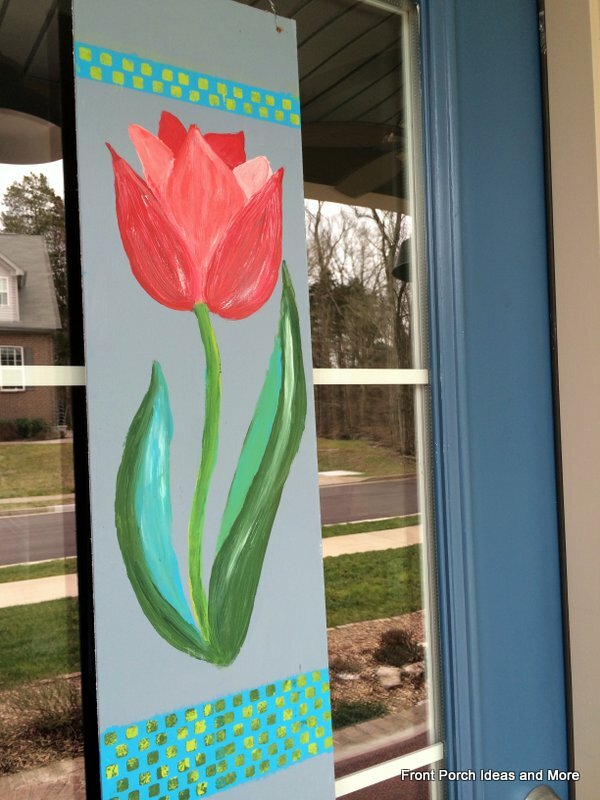 Our spring decorating ideas tulip theme has been a popular decorating idea. 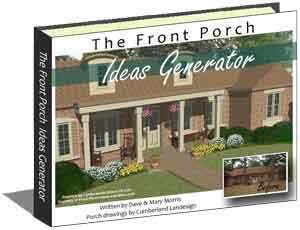 The idea is to create a tulip theme on your porch. 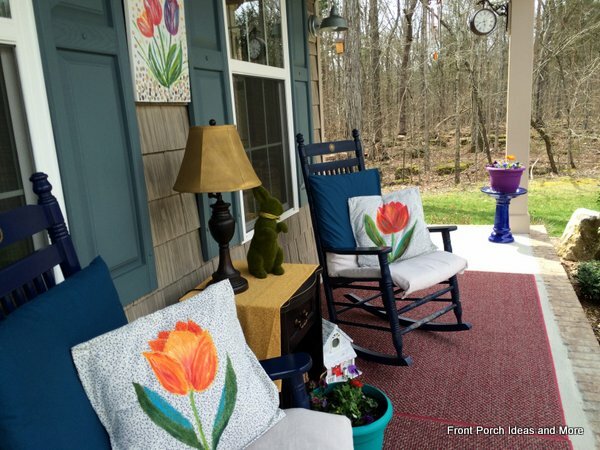 Armed with a little craft paint, some fabric and light-weight wood, you can create colorful tulips to brighten your porch for spring and be the envy of your neighborhood. 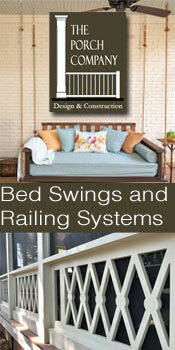 We did three pillow toppers and two banners: One for the front door and one to go between the rockers. 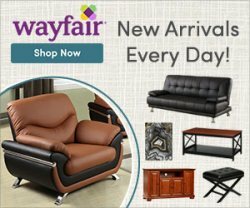 Everything is DIY, easy and cheap. This is not complicated. Really it isn't. 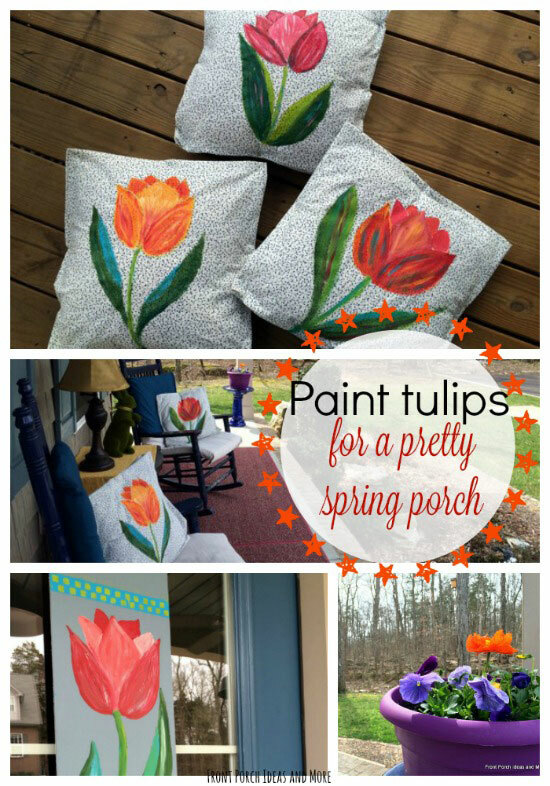 You can create a tulip theme on your spring porch for next to nothing. 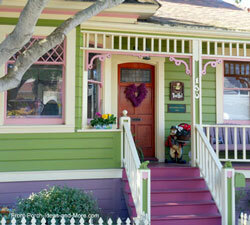 It's fresh, upbeat and spring-like. 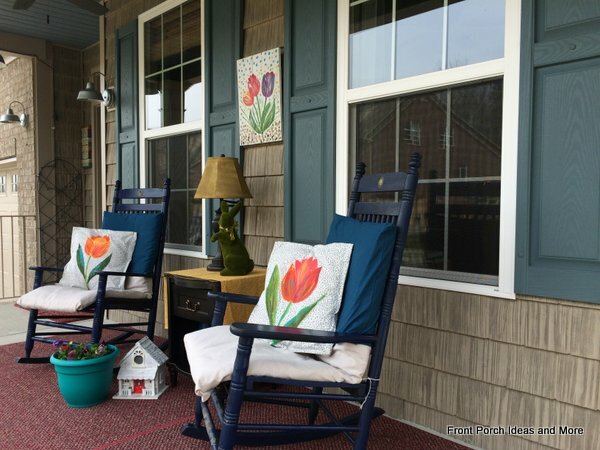 I painted the pillow toppers and sign above the rockers in a tulip theme. All with very basic materials. 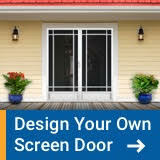 And you need not be an artist to do this for your own porch. If you enjoy spring decorating on-the-cheap, let me share that I had everything I needed in my craft closet. 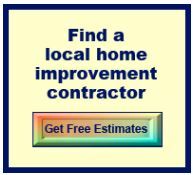 And you might too. Thought you would enjoy the view from the other direction of our spring porch. 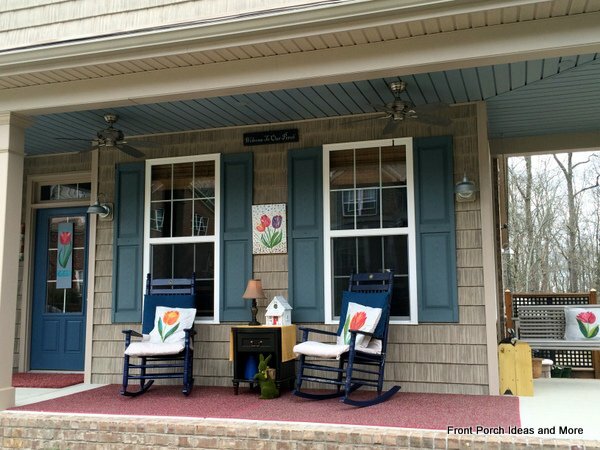 A close-up for you to see the sign that hangs above our two rocking chairs on the front porch. 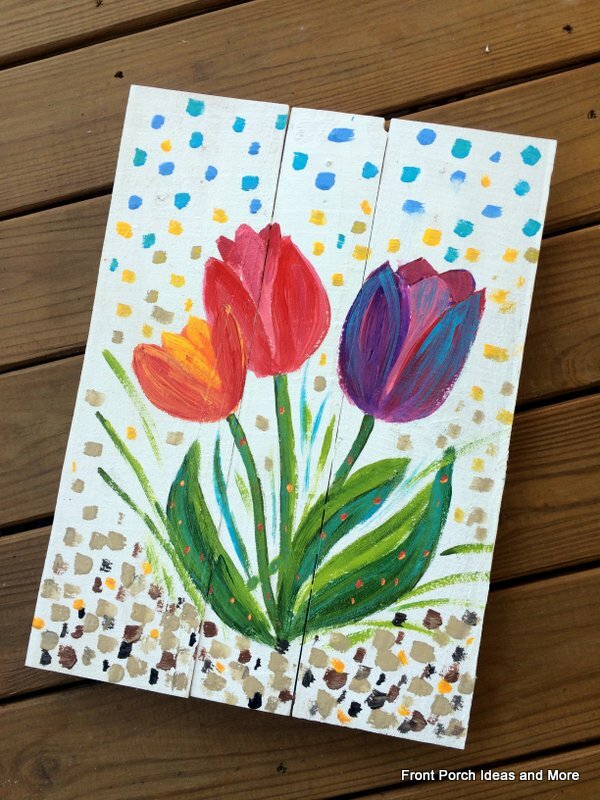 I started out with just painting the tulips and then got carried away by adding little colorful sprinkles to it. 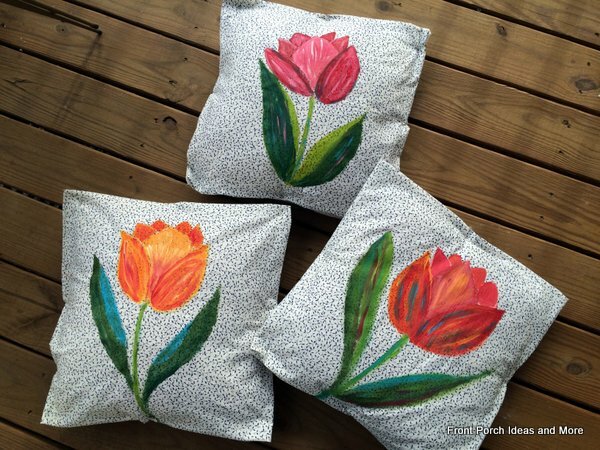 A close-up of the tulip pillow toppers. I had a yard of old calico fabric in my craft bin. It made for a nice background for painting the tulips. Notice that they are not perfect by any stretch. But they are (1) colorful and (2) big. That way they can be seen nicely from the curb. 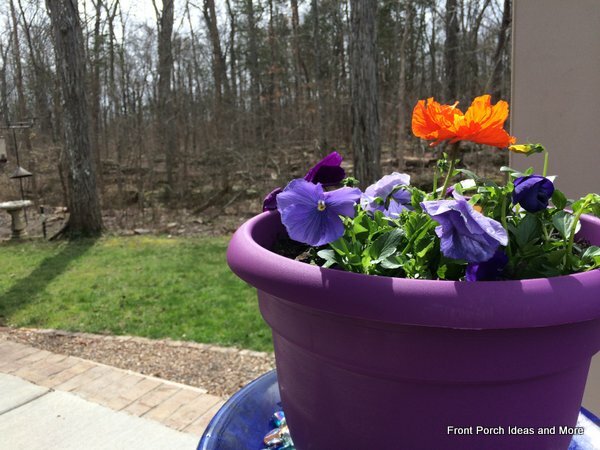 In the corner of our porch, we planted pansies and poppies in a cheerful purple pot. The deep oranges and purples are a sharp contrast to the barren woods that have not begun to blossom yet. But it will only be a couple weeks and everything will turn beautiful springtime green. 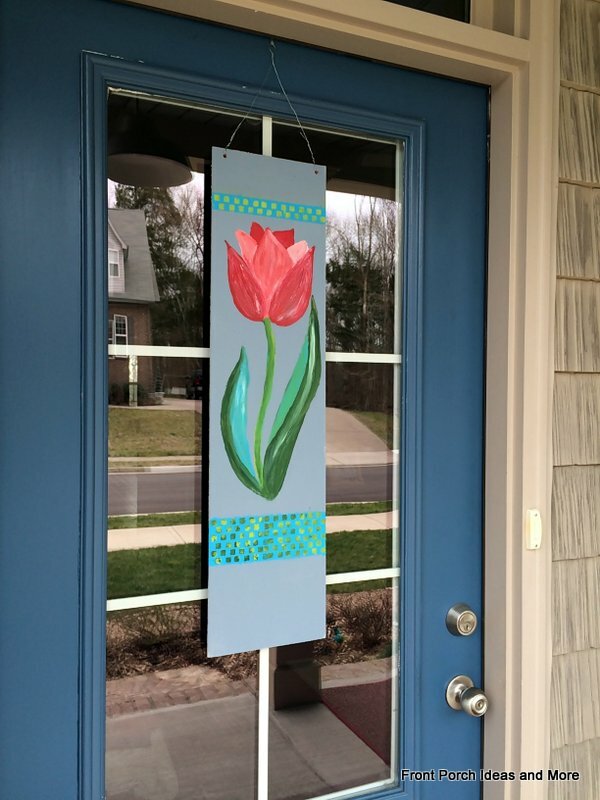 I painted this simple cheerful tulip banner for our front door. 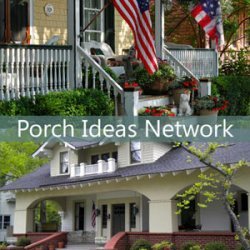 It sets the tone for the entire porch for springtime. 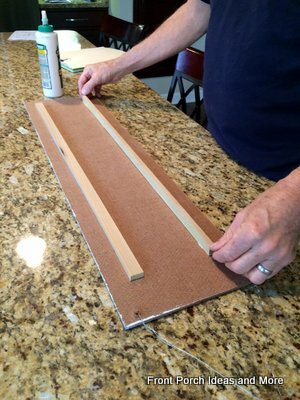 So easy to do with inexpensive acrylic craft paint and a small piece of masonite board (which is lightweight). First, I painted the background a blue-gray color (paint from our bedroom). Then I drew a simple tulip on it in pencil. Next I filled in the outline with paint. The nice thing about acrylics is that if you don't especially like the way something turns out, you can paint over the top of it. Then I decided that I wanted to add a top and bottom border. So I painted a band of light turquoise on the top and bottom. After that dried, I created the "checkerboard" look using a stencil I had on hand. To hang it, we just drilled two holes at the top and put wire through it. Note: To prevent warping of our front door banner caused by moisture, Dave glued a couple skinny boards to the back of the board. 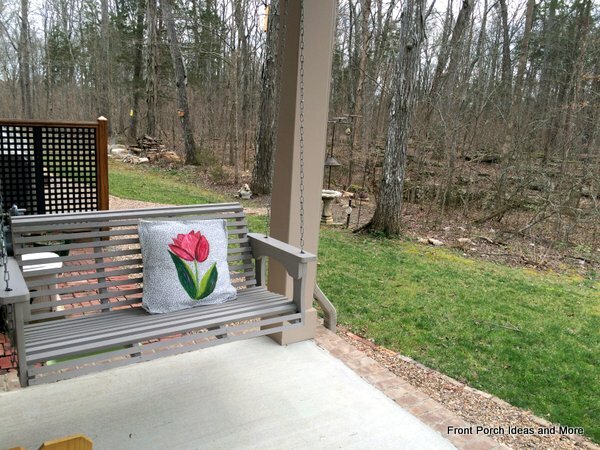 The 3rd tulip pillow went on our porch swing. 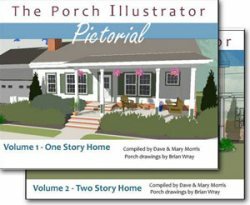 It's a nice surprise to see it on that side of the wraparound porch. 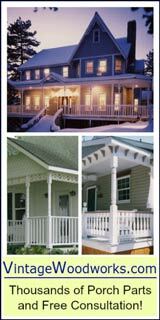 See our porch swing on the right? Kind of cute to have another tulip pillow.